As a biology teacher I explain to my higher biology class the so-called ‘evidence’ for evolution. This often means demonstrating that the evidence is inconclusive and really is admissible only if we start with the presupposition that evolution is true. It is difficult to argue for this objectively, especially when the culture we live in is predisposed to believing evolution.1 This predisposition prevents people from looking at the evidence from a different angle. Time and again I hear ‘… it has to be true’, as though wishful thinking would somehow make the evidence for evolution more substantial. I have pointed out for several years that sickle cell anaemia is not an advance in evolutionary terms. Rather it is a loss of information which is deleterious to health under normal circumstances. I have, however, been uncomfortable when discussing the example of the resistance of rats to the poison warfarin. The rat example occurs in a homework assignment in the higher biology textbook. While teaching about mutation last year I found an explanation of the mechanism involved.2 Significantly, it also turns out to be a loss of information, rather than any improvement or increase in information. Warfarin is an anti-coagulant (stops blood clotting) drug, used both in the treatment of thrombosis in humans and as a poison for rats and mice. Obviously the amounts administered to humans are carefully controlled, whereas the aim in giving it to rats is to kill them. Warfarin works by interfering with the normal blood-clotting mechanism. In humans this is useful because thromboses are basically blood clots, and in controlled doses warfarin can be used therapeutically. In rats, the idea is to so interfere with the normal blood clotting that the normal rapid repair of small blood vessel leakages does not occur. The rat then dies from internal bleeding. Because genes come in pairs, rats, and living things in general, can inherit up to two alleles (alternative forms) of every type of gene—one from each parent. The ENER rats have inherited the normal gene from one parent and the ‘resistant’ gene from the other, so they produce some normal enzyme as well as some (resistant) different enzyme. Warfarin was first used in Britain in 1953. It was extremely effective at killing rodents, so it was used extensively. Resistance to warfarin was first noticed in Welshpool in 1959. Similar colonies of resistant rats were also found in the United States and continental Europe. Superficially, this seemed like evidence of evolution. Indeed, I once would have accepted it. Now I would want to look a little more closely at the details of the resistance. Looking in more detail at how warfarin causes death, researchers discovered that it interferes with the metabolism of Vitamin K. Blood clotting is extremely complex, involving at least 13 factors. Four of these, however, are dependent on Vitamin K for their activation or production. Warfarin has its effect by inhibiting an enzyme involved in the metabolism of Vitamin K (Vitamin K oxide reductase). Resistant rats were found to have a different form of this enzyme. By being structurally different it was no longer affected by warfarin. This change to the structure of the enzyme is easily attributable to mutations in the DNA code. Does this mean that a new gene has evolved? Again, closer examination is called for. As every biology teacher tells his pupils, enzymes are highly specific. They are designed to do a specific job. On the other hand, mutations do not ‘design’. Mutations are usually either harmful or at best neutral.3 Looking at the changed enzyme, it is not surprising to see that it works less well than the original. Indeed, rats which have only this enzyme are so inefficient in their metabolism of Vitamin K that they need more of it — more than 10 times the level that a normal rat requires! Should the resistant rats fail to obtain enough Vitamin K in their diet, they will die from internal bleeding (see Fig.1). What we have is not a new, useful gene, but rather a damaged version of an existing one. The spread of the damaged gene through the population is limited by its bad effects when not paired with the normal gene. How does this tie in to sickle cell anaemia? Well, in the example of warfarin resistance, the efficiency of an enzyme is sacrificed to confer resistance to warfarin. In the example of malaria, haemoglobin’s efficiency at carrying oxygen is sacrificed to confer resistance to malaria. In both cases damage to an existing gene results in resistance, but at a price. A rat with only the resistant enzyme will die from internal bleeding if it cannot obtain enough Vitamin K — even if it never encounters warfarin! Loss of colour, giving only black and white, means a colour licence is no longer a problem. Loss of normal, efficient enzyme means warfarin is no longer a problem. Loss of normal haemoglobin means malaria is no longer a problem. Away from the special conditions under which damaged genes are of some advantage, the selection favours the normal fully functional gene. Ewan Robert James More, graduated in biology from Paisley University. Since then he has entered the teaching profession, training at Jordanhill Teacher Training College (graduating PGCSE in biology and chemistry). 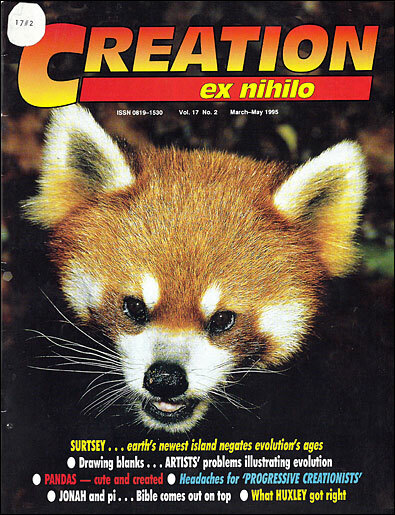 After a period of conflict between his beliefs as an evangelical Christian and his beliefs as an evolutionary biologist he became a creationist. Return to top. R.J. Rushdoony, The Word of Flux (presuppositional apologetics), Thoburn Press, Fairfax (Virginia), 1975, Appendix 1—Bootstrap Reasoning. L. Burnet, Exercises in Applied Genetics, Cambridge University Press, Cambridge, 1988. Dawson and Goodall, Evolution Units 10 and 11, The Open University Press, Cambridge, Walton Hall, Milton Keynes, Bath, 1981, p. 19. An allele is any one of two or more genes that may occur alternatively at a given site on a chromosome. Charlotte J. Avers, Genetics, PWS Publishers, Boston (Massachusetts), 1984, p. 559. James Torrance, Higher Grade Biology, Hoddern & Stoughton, Sevenoaks, Kent, 1993, p. 93. Carl Wieland, ‚Antibiotic resistance in bacteria’, Journal of Creation, 8(1):5–6, 1994.